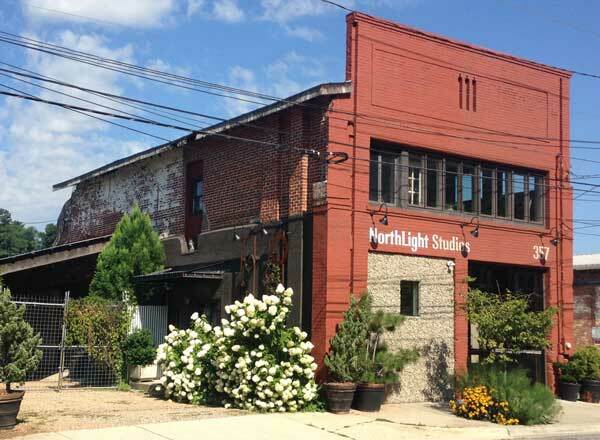 "Elegant and Classic NorthLight Studios" as referenced by local author and art curator Constance Richards, is home to six artists - all painters. The 1904 former tannery hosts landscape, skyscape, still life, animal art, figurative and abstract paintings. The working studios turn into a welcoming and charming gallery several days a week. We also have two excellent choices for dining on Depot Street, Fresh West open Tuesday through Monday for lunch and dinner, and Vivian, open Wed. through Saturday for dinner & Sunday brunch. There's also a very cool juice bar, Nourish & Flourish and a great coffee bar Penny Cup Coffee. April Second Saturday, the 13th, 11-4. Spring time, bloom time! Visit our colorful studios, and leave with a packet of sunflower seeds. Plant soon, enjoy later. ​January, Feb., March - Saturday 11-4. Regular open studio hours resume in April: Thursday - Saturday, 11-4. ​See individual artist's pages, websites for details. NorthLight Studios is honored to have a group show at Sotheby's, in Biltmore Village. Please drop by for a great show, and get to know the Sotheby's team for your real estate needs. Stay tuned for an opening reception!